A few weeks ago I discussed in a post here on the Money Sprout about how my family needs a budget. It has been many years, but we used to follow a monthly budget I put together to help us stay out of debt. It was basically setup as a break even budget that my wife and I stuck to in order to live within our means. After switching jobs, having a third child, and letting life get in the way – we basically stopped following our budget a couple years ago. My wife and I have never really lived above our means, so not following a budget didn’t cause any real issues. However, the one thing that we are now realizing is that while we can live within our means, wouldn’t it be better to live well below our means? After all, we are searching high and low for extra money to pump into the Money Sprout Index. What better way to find new funds then saving as much as possible and using what is leftover each month to invest? Our family has done a wonderful job living within our means. Ever since my wife and I have been married, we have been able to manage our finances without any real effort. The problem with living within our means though, is that it is just not good enough anymore. With only a single income, we have managed to get by for many years saving a little here and investing a little there. As our priorities are now changing, my wife and I are looking ahead to becoming financially independent. That means investing as much as possible into cash producing assets like dividend stocks. It also requires us to cut back on expenses as much as possible. We certainly don’t need to cut back on every expense like cutting our cable, but there are many areas we can do a better job on. In order to cut back on certain expenses, it is time to revisit our family budget. Over the next couple of months, I am going to start tracking our spending to get a handle on where our money is going. That way we can set a realistic budget on where to cut back on without completely giving up our way of life. One of the tools we are using to accomplish this task is Personal Capital – which I have highlighted below. At the end of this month (June), I plan to use Personal Capital to begin to track all of our spending. By tracking our spending, it should help us better build out our monthly budget that we so desperately need. As you may already know, my wife and I have started a credit card spending challenge this month – which actually hasn’t gone very well so far. Due to several unforeseen expenses, we likely won’t meet our goal for the month. That is not to say we haven’t learned some things from these extra expenses. We plan to regroup at the end of the month and start tracking our spending as a whole going forward. We are also planning to stick with the credit card spending challenge. One of the things that I absolutely love about Personal Capital (other than the cost – FREE), is that it can easily help me track our spending. By linking our credit card and bank accounts to our Personal Capital account, we have a quick and easy way to track our spending. I would say that about 99% of our purchases are either made with a credit card, an automated payment from a checking account, or by writing a check. The other 1% of our purchases are actually made using cash. Tracking our cash isn’t all that difficult and the rest can be handled through Personal Capital. My wife and I plan to follow the 5 steps listed below to start tracking our spending at the end of each month. Not only is Personal Capital free, but it is a fantastic tool to track your personal finances – especially your spending. If you make the majority of your purchases through a credit card or bank account, then this tool can make your budgeting simple. Here are 5 quick and easy steps to get a start on tracking your spending. Open Personal Capital Account – Opening a Personal Capital account is quick and easy. We opened our account over a year ago. Use the following link to open a free account – Personal Capital. Link Accounts – In order to track your spending, you need to link all of the accounts that are used to make purchases. In our case, we use 2 different credit cards and 2 checking accounts for 99% of our spending. The only exceptions are the very few purchases we make with cash. Linking your accounts should only take a few minutes to complete. Download Spending – At the beginning of each new month, we will download our transactions by setting a filter for the previous month. Once the filter is set, Personal Capital has a download feature which will quickly export the transactions into a .csv format. We will need to do this twice – once for our credit card spending and again for our checking account(s) transactions. Make Adjustments – While a great tool, there are a couple adjustments that I noticed I needed to make the first time I ran an export. For example, every month we invest $50 into Verizon (VZ) stock through Computershare. The funds come out of one of our checking accounts. Personal Capital has these transactions listed as a phone bill because of the Verizon name. Not a big deal really – just understand the data may need to be tweaked. Analyze Your Data (Build a Budget) – After analyzing our data for the previous month, we can begin to make some assumptions in our budget. For example, we know how much our mortgage is each month since it is a fixed rate loan. Same with our auto loan. On the other hand, expenses like utilities are variable, so we will need to look at last years spending for some of these categories. The end result of tracking this spending should be a usable family budget that we can start following. Note – A nice thing about the export feature with Personal Capital is that the columns are similar for transactions that are exported. So it is easy for me to combine our credit card and checking account transactions. Using a tool like Personal Capital will not help you fix your budget. It won’t bring in any new income, nor will it get you out of debt. That responsibility falls solely on you and those who manage your personal finances. However, Personal Capital can help consolidate your accounts to give you a better idea of the health of your finances. For example, we recently started tracking our net worth a few months ago. I can’t imagine tracking this type of thing without Personal Capital. Without it, I would spend way too much time consolidating our investments, liabilities, cash, etc. The tool is also a great way to track your spending. My family has started following the 5 steps listed above to track all of the money that is going out of our accounts. The end result of using this tool will be a personal family budget that we can put in place to help us reduce our spending, increase our investments, and take one step closer to financial freedom. 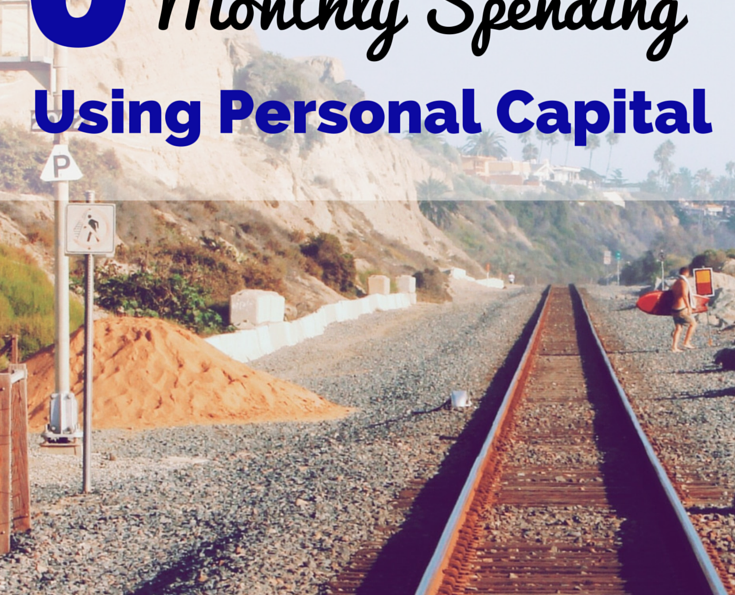 Do you use Personal Capital to track your personal finances? What advice can you offer to the readers here on how to use the tool?